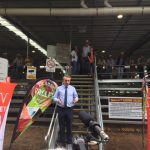 Stage One of the Northern Rivers Livestock Exchange (NRLX) in Casino New South Wales was officially opened today by Federal Member for Page Kevin Hogan. “This is great news for jobs and the local economy,” he said. 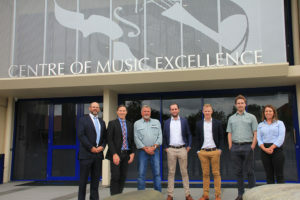 Wiley are proud to have delivered Stage One of the upgrade, working with the local community and businesses to deliver a world-class facility on time and under budget. 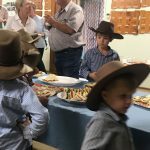 “If you are one of the 1200 people employed by the Meatworks, are a cattle producer, or small business in the region, this is good news. It is good news because this will ensure Casino remains the regional centre for this industry thereby helping job security,” Kevin said. 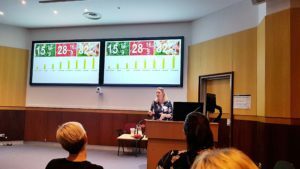 The improved livestock exchange eliminates and minimises safety risks, optimises animal welfare and positions NRLX to take advantage of future technology. 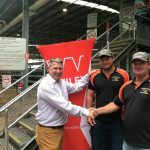 Mr Hogan said the installation of the soft floor to the selling pens represents best practice animal and worker welfare, and will position the facility as the selling centre of choice for local and regional livestock producers. 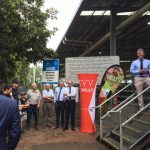 Wiley worked with many local suppliers and subcontractors to deliver the project to ensure there was more investment going back into the community and region. 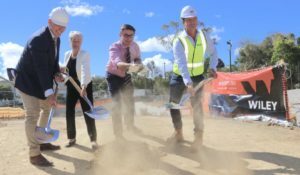 “These works supported 80 jobs during construction and will help sustain another 60 ongoing local jobs, which means more families spending more, investing more and driving more jobs and confidence in the local community,” he said. 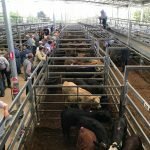 “The exchange now features a new roof, raised walkways for buyer and stock agents, as well as improved selling pens to hold the livestock. 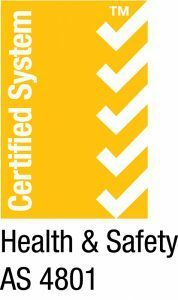 The Federal Government contributed $3.5 million to the $7 million Stage One upgrade. 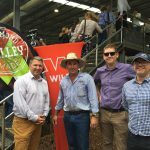 Richmond Valley Council’s General Manager Vaughan Macdonald said he enjoyed the relationship with Wiley and praised their commitment to working with local businesses. 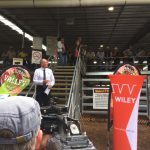 Wiley Managing Director, Tom Wiley shared that Wiley was excited to have helped NRLX strengthen their reputation as the best facility on the North Coast and praised NRLX for the improvements which have resulted in the highest animal welfare and work, health and safety standards as well as contributing significantly to the local economy.